Recently two of the authors proposed a mechanism of vacuum energy sequester as a means of protecting the observable cosmological constant from quantum radiative corrections. The original proposal was based on using global Lagrange multipliers, but later a local formulation was provided. Subsequently other interesting claims of a different non-local approach to the cosmological constant problem were made, based again on global Lagrange multipliers. We examine some of these proposals and find their mutual relationship. We explain that the proposals which do not treat the cosmological constant counterterm as a dynamical variable require fine tunings to have acceptable solutions. Furthermore, the counterterm often needs to be retuned at every order in the loop expansion to cancel the radiative corrections to the cosmological constant, just like in standard GR. These observations are an important reminder of just how the proposal of vacuum energy sequester avoids such problems. Y.B. Zeldovich, Cosmological constant and elementary particles, JETP Lett. 6 (1967) 316 [Pisma Zh. Eksp. Teor. Fiz. 6 (1967) 883] [INSPIRE]. A. Padilla, Lectures on the cosmological constant problem, arXiv:1502.05296 [INSPIRE]. E.K. 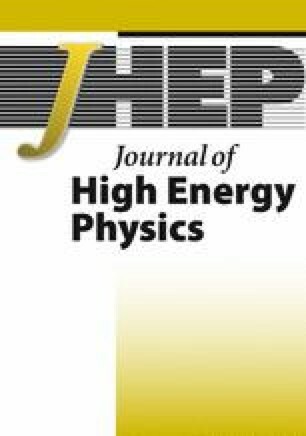 Akhmedov, Vacuum energy and relativistic invariance, hep-th/0204048 [INSPIRE]. G. Ossola and A. Sirlin, Considerations concerning the contributions of fundamental particles to the vacuum energy density, Eur. Phys. J. C 31 (2003) 165 [hep-ph/0305050] [INSPIRE]. N. Arkani-Hamed, S. Dimopoulos, G. Dvali and G. Gabadadze, Nonlocal modification of gravity and the cosmological constant problem, hep-th/0209227 [INSPIRE]. 2.Department of PhysicsUniversity of CaliforniaDavisU.S.A. 3.School of Physics and AstronomyUniversity of NottinghamNottinghamU.K. 6.Department of PhysicsArizona State UniversityTempeU.S.A.